Tonight, I have three things to share . . . the good, the bad, the ugly. A while ago I did a post on homemade gum. (Check it out. It's a great summer project for antsy kids on rainy or super hot days!) My bloggy friend Jocelyn over at We Talk of Christ, We Rejoice in Christ took the plunge . . .the sticky, messy, colorful plunge, and made gum. This is good for two reasons: first, someone was actually inspired by something I posted and tried it out and second, she has re-inspired (Is that a word?) me to get back in the kitchen and make some more gum. What you should do is go to my gum reipce post. Write down the recipe. Then go to Jocelyn''s blog for gum-design inspiration. You have to at least go there to check out the pic of her gum. Thanks Jocelyn! Last night the needle on my sewing machine broke. Since I recently confessed in a Tuesday's True Confessions post that I'm afraid of my sewing machine and I think it's taunting me, you can imagine that this incident only fed my fear and suspicion. I've had this sewing machine a year, and I had no idea this could even happen. So after trying to straighten the needle with my bare hands while it was still in the machine (stop laughing), I turned to my sewing machine owner's manual . . . turns out this happens, turns out you are not to use or try to straighten a bent needle, turns out the needle has to be changed. To my surprise and excitement the manual reminded me that my machine came with extra needles. To my disappointment my sewing machine did not come with someone who would change the needle for me. Boo hoo! Long story short . . . an hour later the new needle was in place and in working order . . . yes, you read that right - AN HOUR LATER! Yes, it's ugly . 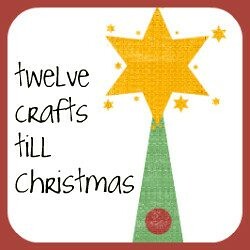 . . it's a project only the crafter can love . . . strike that . . . I don't love it either. 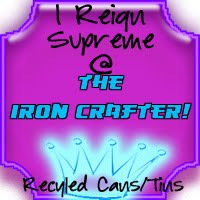 Needless to say, it did not make it into the Iron Crafter Challenge line up. Oh well. My oldest daughter helped me with it. She had fun. And afterwards, she stood back admiring it and said, "Mommy, you're a good crafter." Awwwww . . . I love that kid. She can look at some ugly can luminaries and rocks on a plate and see beauty. She's my inspiration, so I . . . They look prettier in the dark and lit. I think I have found a new bloggy buddy. I am not fearful of my sewing machine. Just keep remembering... it's more afraid of you, than you are of it. It's a true story. Thanks for swinging by, I'm following along now b/c I've been working on Christmas gifts since last November, no lie. I just can't post them yet....the people they are for read my blog....the nerve, right? 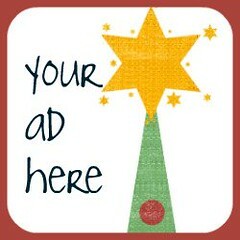 But I'll start posting sometime in November, and looking for inspiration on your blog! I've added my link, and a few others I thought of off hand. ;o) The irony in your post was that TODAY at the ballgame I thought-I wonder if you can make homemade gum? I'm SO going to try this, and if my fingers aren't too sticky afterwards, I'll post and link up. ;o) Give me a few weeks, but I'm excited!!! Nice! I am totally chuckling at your #2 "The Bad"! Changing a needle is so easy on my machine...since I attended the "getting to know your machine" class! And I have broken more needles than I wish to list...I am rather rough on my machine! You are adorable! Your cans are not ugly - sometimes it just takes a darling chickapea like your own to point out the beauty in things. Aren't kids wonderful?